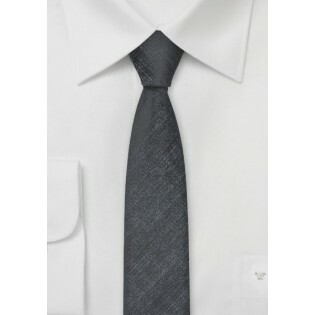 Set your sights on superior fashion and accessorize your way to the top with this organically textured skinny tie in handsome shades of charcoals and blacks. The metropolitan design of this awesome accessory makes it uber chic and remarkably versatile. 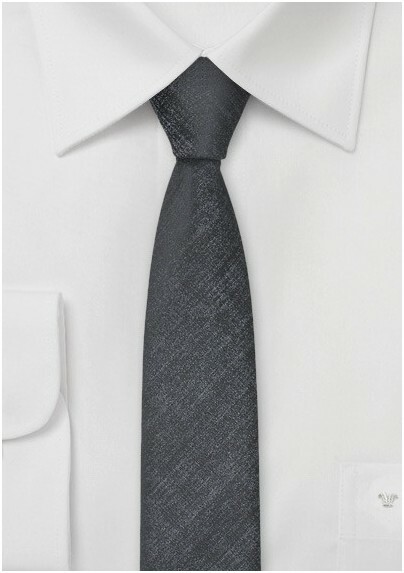 We absolutely love to see this tie worn with a classically cool European tailored black suit. Creatively designed by the Puccini Fashion Group and beautifully crafted from a high performance man made microfiber.